Udayani's systematic involvement for nearly two decades is yielding desired results as it moves into formation of Women's local movements and registering them as independent NGOs. 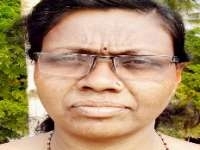 One such activist is Basanti Soren who has started Nari Mukhti Chetana Sangathan (Women's Liberative Consciousness Movement). The movement is leaping out from Udayani (awakening) Social Action Forum of Calcutta Jesuits. Read more to know her success story.